CV Filters are designed to work more efficiently with other Zodiac products by incorporating the Versa Plumb® system. 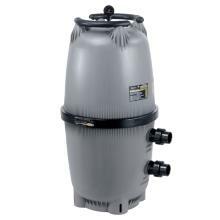 This filter is equipped for high flow rates and optimum hydraulic performance. CV cartridge filters are constructed of durable, corrosion resistant, heavy duty high-tech polymeric materials for long-lasting performance. The CV Filter is designed with the inlet and outlet ports on the same level for improved hydraulic efficiency. Unique pressure gauge features clean/dirty indicator that can be customized, making it easy to assess filter cartridge condition. 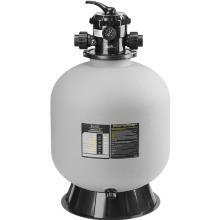 Easy-grip handles on the tank lid make filter installation and cleaning easy and simple. Optional anchor brackets easily attach to the filter tank and mount to the pad to hold the filter securely in place. These brackets are sold separately as an accessory. CV filter is Versa Plumb ready. Includes 4 cartridges totaling 340 square feet of media. Includes 4 cartridges totaling 460 square feet of media. Includes 4 cartridges totaling 580 square feet of media. 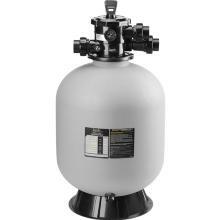 The CL Filter handles high flow rates with optimum hydraulic performance. CL cartridge filters are technologically advanced and constructed with corrosion resistant polymeric materials for long-lasting performance. Universal unions make filter installation easy. 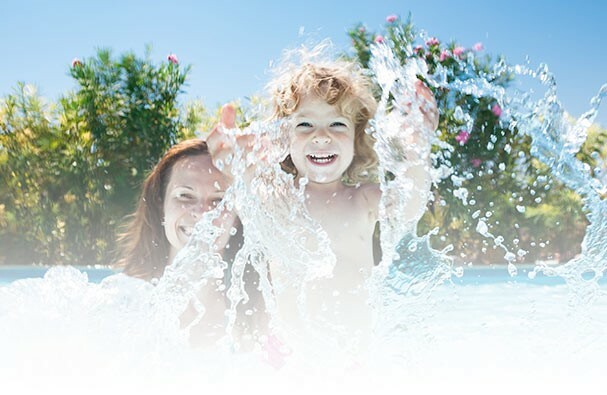 The SFTM Top-Mount Pool Sand Filter directs water evenly across the entire surface of sand without sand migration or channeling. 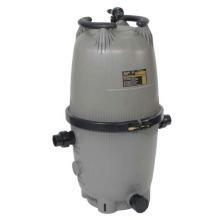 Our Top-Mount Sand Filters are designed with features to make installation easy and filter more water, faster.